I was very humbled and happy when Cecily Markland wrote this article about the book my daughter and I wrote together, The Memory Catcher is primarily about the events in my life that led me to teach about the eternal nature of our souls. She has graciously given me permission to share her article here. Thanks, Cecily! Sarah Hinze, a Mesa mother of nine grown children, has made it her life’s work to advocate for the rights of children. Not necessarily those children in communities across the country, but instead, she is a spokesperson with an interest in children who are yet to be born. Similar to what are referred to as “near-death experiences,” pre-birth experiences have to do with unborn children. 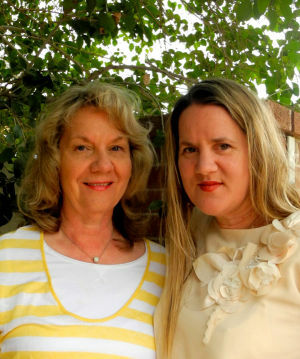 Her latest book, called “The Memory Catcher,” released in November, was coauthored with her daughter, Laura Lofgreen, also of Mesa. The book, basically an autobiography, explains where Hinze’ commitment and beliefs come from. Yet, it was her life experiences, particularly her miscarrying a child, that started her quest to understand where children come from before they are born. Working together – Sarah was often narrating while Laura sat at the computer – the mother and daughter pieced together the key experiences that shaped Sarah’s life and led to her becoming one of the world’s greatest advocates of the unborn. John Pratt, PhD, says the result is powerful. Hinze said that during her 30-year work of gathering and sharing “pre-birth” experiences, she has heard countless stories of how these experiences have been of benefit to her readers. “I’ve heard from so many people how their hearts have changed. They look at adoption differently; they look at abortion differently. They see protecting the unborn as the spiritual subject it is,” Hinze said. “The Memory Catcher” is available at www.SpringCreekBooks.com, in stores and online E-reader versions may also be purchased at amazon.com. To contact Hinze about participating in book club discussions or workshops or to share “pre-birth” stories, email sarah@sarahhinze.com or call (480) 882-8364. To learn more, visit www.sarahhinze.com.